Property owners pay secured property taxes annually. The amount owed is calculated by multiplying the current tax rate times the assessed value of the property as established each year by San Francisco’s Office of the Assessor/Recorder. Direct Charges and Special Assessments such as parcel taxes and rent stabilization fees are then added for a total tax bill amount. 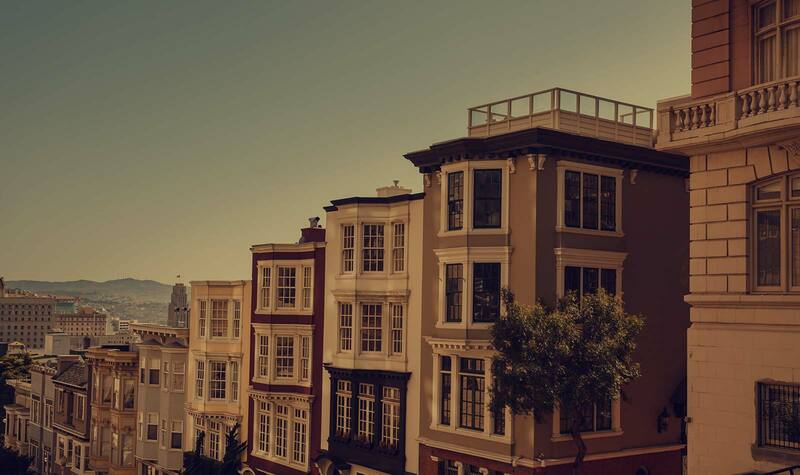 The San Francisco Assessor’s Office computes a property’s assessed value the same way for all residential properties whether it is a single family home, a condo, or if it is owned by several owners in a tenancy in common arrangement with exclusive occupancy rights (TIC). It is based on the purchase price (assuming the purchase was an arms-length transaction), and other “assessable events” such as improvements, new construction and Proposition 60 assessed value transfers for senior citizens. The total of these values is annually indexed (increased) by a Consumer Price Index set by the state not to exceed 2%. In addition, each owner-occupied property, including each TIC owner who occupies his/her assigned unit, may qualify for a $7000 homeowner’s exemption that reduces that unit’s assessed value. With respect to TIC properties, where multiple owners have purchased their percentage interests at different times and for different amounts, calculating each owner’s property tax obligation is often complicated. Because a TIC property shares just one tax lot, it gets a single annual secured property tax bill reflecting the total of all the units’ assessed values as of July 1st. However, that total may not reflect changes due to recent purchases. The Assessor has up to 4 years to catch up with a purchase and issue Supplemental (and Escape which are basically the same as Supplemental) increases. Until the Supplemental is processed, the current owner is assessed at the previous owner’s value. This means that rather than relying on the tax bill to determine how much each co-tenant should pay, calculations are required to determine each owner’s share. In order to review a building’s property tax situation, we compute each unit’s assessed value using the County Records’ purchase date and price and determine if any applicable building permits have been issued. Next we map that value forward to the present by applying each year’s Consumer Price Index . The first index is applied once at least one entire tax year running from July 1 through June 30 of the following year has passed since the purchase. We then determine if newer purchases have had Supplementals assessed in order to decide whether to use the current owner’s or the previous owner’s value. The resulting assessed value is multiplied by the year’s tax rate. Each unit’s share of the Special Assessments part of the tax bill is then added. Finally we check our total building’s assessed value and property taxes year-by-year against the property tax bills. TIC Formation Following Building Remodel: Supplemental bills may be issued for both the improvements/new construction and the sales. TIC Resales: A purchase may be processed for the wrong unit, or the assessed value for the previous owner may have been incorrect, or new construction may have taken place and its value increase was misapplied. Building Improvements: These may or may not trigger an increase in the assessed value. Homeowner Exemptions: These are occasionally lost or processing is delayed. Lot Splits and Condominium Conversions: This requires an allocation by the Assessor and this is often incorrect. Proposition 60: Assessed value transfers for senior citizens are not always processed correctly. When we feel that an assessment error has been made, we go to the Assessor’s Office and ask to talk to an appraiser about it. We show the appraiser who has been assigned counter duty where we believe the error was made. If they can’t solve the problem, we ask for a referral to an appraiser who can and follow up. In our experience, the Assessor’s Office gets everything right much of the time but the values are manually computed and errors are made. When problems do occur, there is no apparent pattern of over- or under-assessment. We have found that whenever issues are brought to their attention, they are genuinely interested in making sure values are assessed correctly. A good TIC Agreement specifies how property tax shares are to be calculated and collected as part of the monthly dues. If the TIC owners follow those instructions, they can be confident that their tax obligations are comparable to what they would be had they purchased a condominium or single family home, and that there will be funds already available to pay all tax bills – Secured, Supplemental and Escape — as they arrive. San Francisco TIC Services specializes in bookkeeping services for TIC’s. They developed a financial support process from TIC development through unit sale and new co-tenant integration. Additionally they take on existing TIC’s that are looking for an independent party to help them with their bookkeeping needs. They’ll work with the Title company on unit sales, set you up on QuickBooks Pro, review the DRE Budget or build an Operating Budget for you, calculate HOA dues and Property Tax shares, collect the monthly payments and pay your HOA expenses. Once a month they will report back to the TIC co-tenants with account balances, and reports showing income and expenses and which co-owners are in arrears.